Endeavour has a dedicated team of experienced and professional people available to assist your organisation. The partners and staff all have exposure to public practice and commerce across a wide range of industries with a particular emphasis on resources. Kevin Hart has over 30 years experience in accounting and the management and administration of public listed entities in the mining, mining services and exploration sector. His experience includes senior accounting and finance roles with ASX listed gold miners and 10 years as the Company Secretary/Chief Financial Officer of an ASX listed diamond exploration company. Kevin holds a Bachelor of Commerce degree from the University of Western Australia and is a Fellow of the Institute of Chartered Accountants. Mark Pitts has over 30 years experience in business administration and corporate compliance. Having started his career with KPMG in the Perth and San Francisco offices, Mark has worked at a senior management level in a variety of commercial and consulting roles including mining services, healthcare and property development. The majority of the past 15 years has been spent working for or providing services to publicly listed companies in the junior resources sector. Mark is a registered company auditor and holds a Bachelor of Business Degree from Curtin University and is a Fellow of the Institute of Chartered Accountants. Dan is a Fellow of the Association of Chartered Certified Accountants and holds a BSc(Hons) in Mathematics from University of Wales College (Cardiff) and a BSc(Hons) in Applied Accounting from Oxford Brookes University. Dan gained extensive financial reporting experience prior to joining Endeavour Corporate in July 2006, when he spent over 8 years in various public audit practices in both the United Kingdom and Australia. At Endeavour Corporate he is responsible for financial reporting and general financial management for a number of listed companies, in addition to company secretarial duties including the IPO and capital raising processes, and ongoing ASX and ASIC compliance. 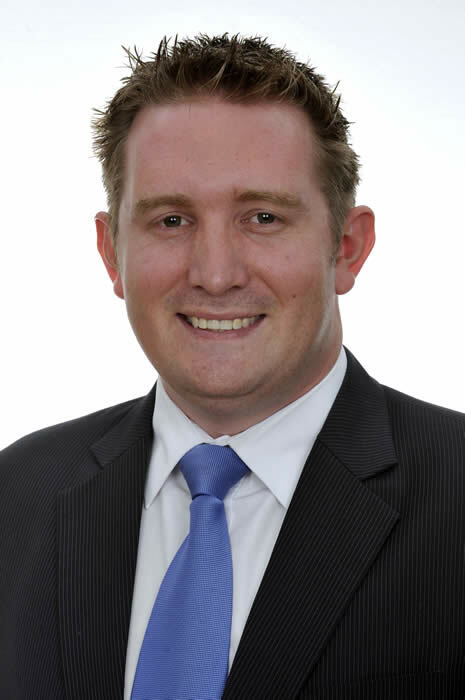 Chris is a Chartered Accountant with over 10 years’ experience in financial reporting, audit and corporate advisory. He holds a Bachelor of Commerce degree from Notre Dame University and a Graduate Diploma of Chartered Accounting. Chris has extensive experience within the mining, exploration, oil & gas and technology sectors through his previous role at a mid-tier accounting practice. Greg is a Chartered Accountant with over 30 years of resources related financial experience and has extensive commercial experience in managing finance and administrative matters for listed companies. He was employed by Resolute Mining Limited in 1993 and was the group's Chief Financial Officer and Company Secretary from 2001 to 2017. Prior to his involvement with Resolute Mining, he worked for Ernst & Young where he progressed from a graduate accountant in 1987 to a manager in the firm’s audit division before resigning in 1993. Susan is a Certified Practising Accountant with 20 years experience in public practice and commerce. She holds a Bachelor of Business Degree from Curtin University, and a Diploma in Company Secretarial Practice with Chartered Secretaries Australia. Susan has considerable hands on commercial experience. Prior to joining Endeavour, she was Group Financial Accountant for a large mining services company based in Perth. Lucy has over 19 years experience in accounting, audit and financial reporting of private, public and listed companies in Perth, London and South Africa across various industries. Lucy holds a Bachelor of Commerce degree and a Higher Diploma of Accountancy from Rhodes University, South Africa and is a member of the Institute of Chartered Accountants. Prior to joining Endeavour, she was Group Project Accountant for an international property developer based in London. Tony has over 25 years experience in commerce and the accounting profession. His experience includes five years as the CFO and Company Secretary of an ASX listed civil and mining contractor and thirteen years as a partner of a number of Chartered Accounting firms in the audit and corporate finance areas. He is a Fellow and past State Chairman of the Institute of Chartered Accountants and is a Graduate Member of the Australian Institute of Company Directors. He has a Bachelor of Commerce degree from the University of Western Australia. Denise has over 30 years' experience in account support roles in England and Perth. Denise holds a Higher National Certificate in Business Studies attained in the UK, and is a registered BAS Agent. Prior to joining Endeavour as a contract bookkeeper, she was employed by various companies in the UK and Australia as a full time bookkeeper. Tracy is our Office Administrator. Tracy commenced with Endeavour in 2004 and was the firm's first employee. Prior to joining Endeavour she was Secretary to two of the senior Partners at Price Waterhouse in Perth for 7 years.